You may have heard by now that Sacate Pellet Mills Inc. has acquired Lakin Milling Company. The merger of the companies is a natural fit for two Arizona families that have been involved in the agricultural business for over five decades. 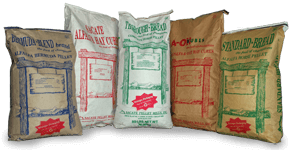 We learned how to make pellets from the best in the business, Chuck Lakin, and like Lakin Milling, we pride ourselves in uncompromising quality and service. With this in mind, the transition has been a smooth and seamless one. If you are currently a Sacate Pellet Mills customer, thank you! Simply put, it’s business as usual. We have no plans to alter the ingredients, nor do we plan on restructuring the business model. If you are a new customer and would like to hear more about Sacate Pellet Mills please feel free to contact us at: (602) 237-3809. We realize you have a choice when purchasing feed for your livestock, and we are grateful for your continued support.